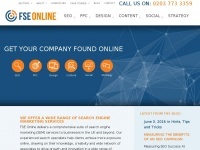 13,247 links pointing to Google.co.uk were found. The most used keywords in text links are View Larger Map, Google and Click. 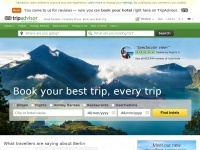 Individual words like View, Larger, Maps and Find are frequently used in text links from other websites. The most important links to the website are from Aoc.co.uk and Cheshire-removals.co.uk. The sites /?gws_rd=ssl and /maps?q=DN20 0PA&oe=utf-8&client=firefox-a&ie=UTF8&hq&hnear=Brigg, South Humberside DN20 0PA, United Kingdom&gl=uk&ll=53.585621,-0.416628&spn=0.0047,0.011544&t=h&z=17 are frequently referenced by external sources. The table shows the most important links to Google.co.uk. The table is sorted in descending order by importance. 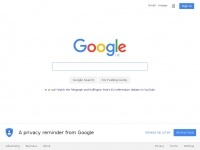 The table shows websites of Google.co.uk, which are often linked by other websites and therefore they are classified as important content. 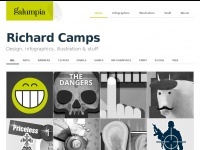 Galumpia.co.uk - Ri­chard Camps - De­sign, infog­rap­hics, il­lustra­tion & ..